This dish is one my mom used to make when I was growing up, and it was always one of my favorites. Tonight was my first time trying it… when I wasn’t able to reach her for the recipe this evening, I had to go off of memory and try to figure out how she got it to taste so great. Good news is, I think I figured it out. My mom made hers with shrimp, scallops and crab meat, but I only had shrimp on hand, so shrimp alone it was. 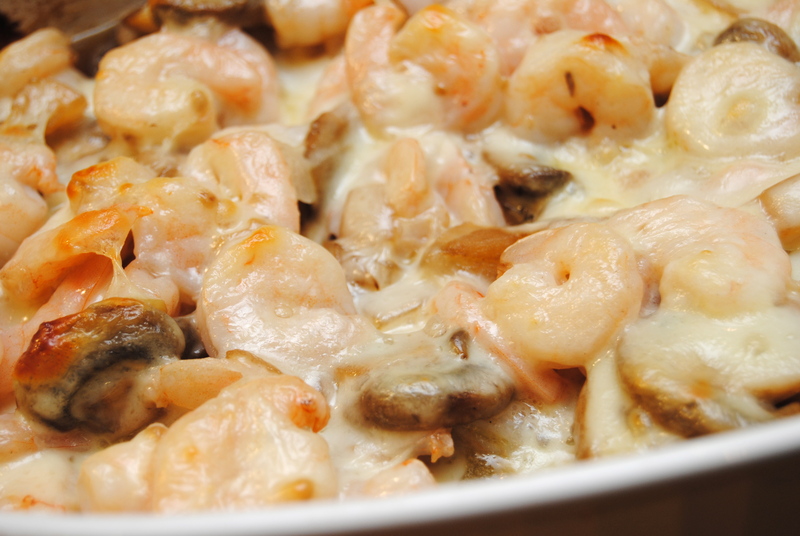 This is a pretty easy meal to make – sauté mushrooms, onions and garlic, deglaze with wine, toss with shrimp and top with provolone… voila, you have a dinner that tastes great with very little effort. I served mine over some jasmine rice (I cooked it according to the package but substituted chicken stock for water, added 1 tsp minced garlic, 1 tsp of salt and 2 tbsp of olive oil). It was the perfect amount of flavor to pair with this shrimp (that makes its own sauce as it cooks). Hope you enjoy this as much as we did tonight, and I did growing up! 2.) In a saute pan, heat olive oil. 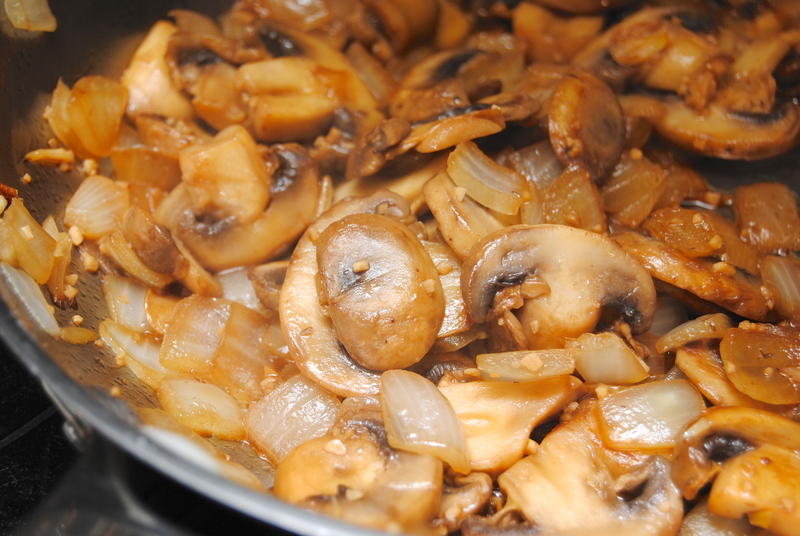 Add onions, mushrooms and garlic and saute until onion is translucent, and pan starts to brown. Deglaze with white wine; simmer for about 5 minutes. 3.) 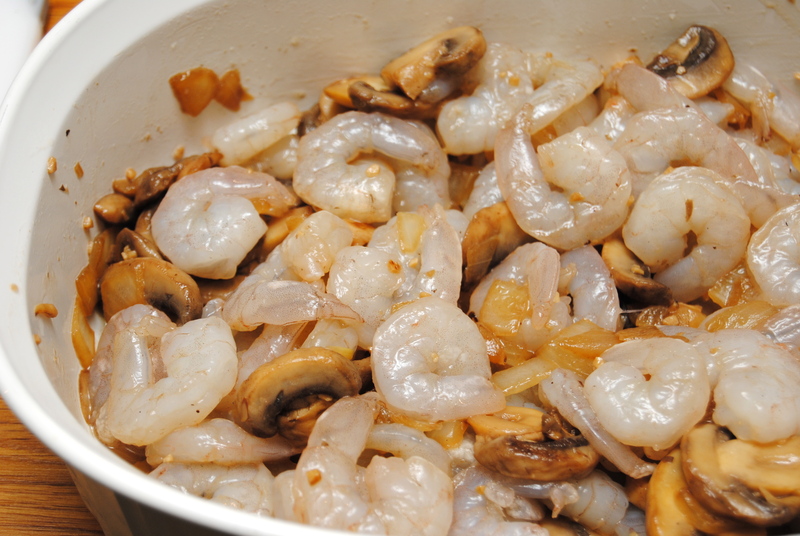 In a casserole dish, combine raw shrimp with sautéed onions and mushrooms and mix well. 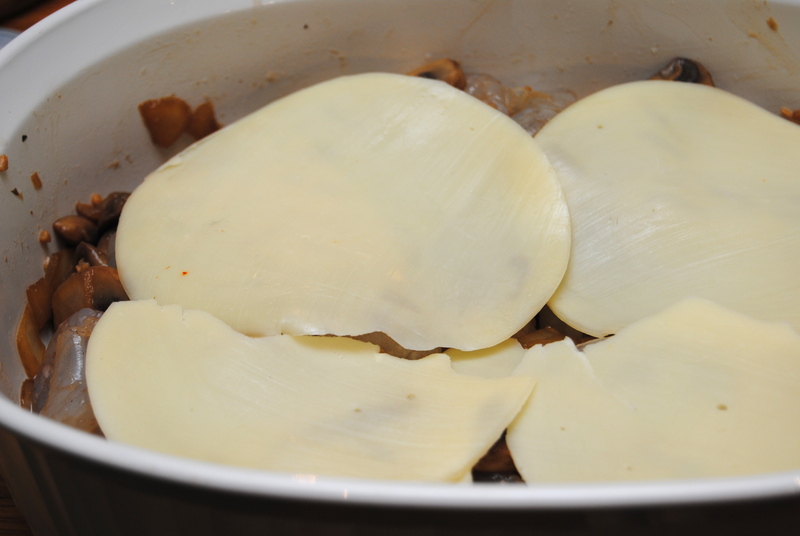 Top with slices of provolone cheese. Bake for about 20 minutes, or until shrimp are pink and cheese is browning. 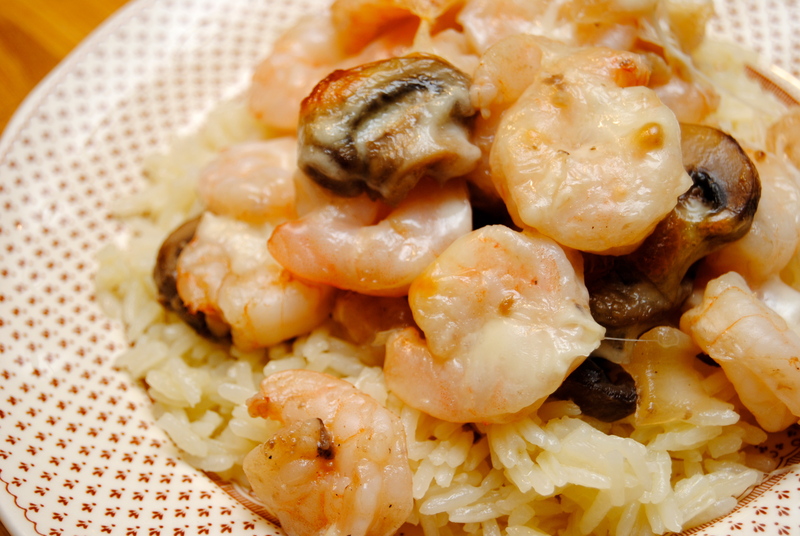 This entry was posted in Food and tagged 30 minute meal, Cooking, Dinner, Food, Mushrooms, Provolone, Seafood, Shrimp, Shrimp bake by biscuitsncrazy. Bookmark the permalink. Looks great, how did the provolone do with the shrimp? That’s a flavor combo I’ve never thought of! NYTimes Magazine says shrimp are “in” right now, and I have to agree, they look amazing!